Zimbabwe is too divided politically and needs a national dialogue to settle the political standoff between Zanu PF and MDC before the 2023 elections, opposition leader Nelson Chamisa has said. Chamisa said the much-needed electoral, political and economic reforms must be put in place in order to heal deep divisions in the electorate before the next polls. “What we can’t afford to do is to go into any other election without resolving the political dispute. We have to ensure that we restore the sanctity of the vote. What the people voted for must be respected,” Chamisa told NewsDay recently. The MDC leader said several years of hate politics, violence and poverty had pushed Zimbabweans to the edge leaving a nation that is deeply divided, insisting that these wounds can only be healed by genuine political dialogue and a transitional mechanism. “This is a deeply divided country. We have to come together and say how do we move forward on the fundamental and comprehensive reforms we want to see — on nation-building, peace-building and on resolving the economic questions,” he said. 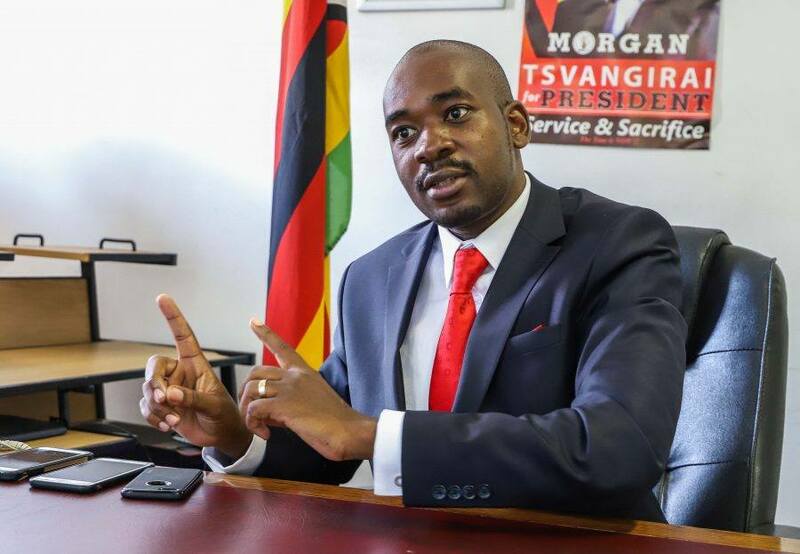 Despite losing a Constitutional Court (ConCourt) challenge on the contested presidential election results, Chamisa said the dispute was far from over and he was willing to force for a settlement with President Emmerson Mnangagwa through demonstrations. “If Mr Mnangawga is not willing to dialogue, we are going to deal with him on the streets. We have the constitutional right to do so — to occupy the streets. When the people feel that we have to occupy the State and when they are ready we will be availed,” he said. Chamisa, a lawyer, has been asked to respect the ConCourt ruling which endorsed Mnangagwa’s election, but he insists that the ConCourt delivered law and not justice. “Sovereignty of Zimbabwe resides in two institutions, the people as a sovereign authority and also the Constitution . . . the court ruled, the court is not a court of justice, it’s not just a court of the truth, it’s a court of law. The law took Mr Mnangagwa to be President, but it does not take away what the people voted for and that dispute has to be resolved,” he said. The commission of inquiry into the post-election violence led by former South African President Kgalema Motlanthe, recommended an internationally assisted dialogue noting that Zimbabweans were deeply divided. Mnangagwa on setting up the commission said he would implement the resolutions by the commission, but instead of getting international mediation he has opted for local solutions, which he is leading.